Are you happy with the thickness and health of your hair? Drug free – no side effects. Viviscal MAN is suitable for anyone seeking thicker, better, healthier looking hair AND specifically for those who want to experience the benefits of science without the side effects of a drug. Take Viviscal supplements proactively at the first signs of thinning to promote healthy hair growth from within. Why is it important to nourish hair from within? The most common reason for hair growth issues in men is the hormone dihydrotesterone (DHT). Produced naturally by the male body, DHT inhibits hair growth by preventing nutrients from reaching the hair follicle. The key active ingredient AminoMar C™- a rich marine protein complex, blended with other naturally derived ingredients. Zinc to specifically contribute to the maintenance of healthy hair, by nourishing from within. Vitamin C, Horsetail Extract and Flax Seed. 1. Based on 11 clinical trials. 2. Based on IRI MULO data for 52 weeks ending February 21 2016. *Viviscal Man contains Zincwhich contributes to the maintenance of normal hair and nails. Will Viviscal MAN work for me? Men of all ages are experiencing great results with Viviscal. Take 2 tablets daily for a minimum of 3 - 6 months (1 in the morning and 1 in the evening, taken with water after food). Thereafter to maintain healthy hair growth, take 1-2 tablets daily as required. Viviscal tablets are easy to swallow. AminoMar C™ - a rich marine protein complex and the key active ingredient in Viviscal. Protein is required for the growth and repair of hair cells. Zinc is a vital mineral for healthy hair, skin and nails. Acerola Cherry Extract is a natural source of Vitamin C (one of the highest grades of vitamin C). Vitamin C is a strong anti-oxidant believed to improve the ability of the body to absorb important nutrients. Vitamin C is specifically known to be important in the absorption of iron. Silica (Horsetail plant extract) - Hair is collagen based and silica is absolutely essential for the body to create and maintain collagen. Silica is essential for healthy connective tissue. As we age, scientific measurements have shown that the human body retains less and less silica therefore, it is important to supplement it. Flax Seed – studies suggest that Flax Seed may help to inhibit the production of the enzyme that converts testosterone into DHT. Ingredients: Marine Protein Complex (AminoMar C™) (fish/molluscs), Bulking Agent (Microcrystalline Cellulose), Flax Seed (Linum usitatissimum) Powder Extract, Maltodextrin, Vitamin C (Ascorbic Acid), Horsetail (Equisetum arvense L.) Extract, Glazing Agents (Hydroxypropyl Methyl Cellulose, Glycerol), Anti Caking Agents (Silicon Dioxide, Magnesium Stearate), Acerola (Malpighia glabra L.) Fruit Powder, Zinc Oxide, Silicon Dioxide, Orange Flavouring, Modified Starch. Allergy advice: Please see ingredients above. This product contains iron which, if taken in excess, may be harmful to very young children. Keep out of sight and reach. Food supplements must not be used as a substitute for a varied and balanced diet and a healthy lifestyle. Consult your doctor if on medication. Do not exceed the recommended daily intake. Do not use if blister seal is cut, torn or broken. Keep out of reach of children. Biotin and Zinc contribute to the maintenance of normal hair. Customer reviews are not adapted in any way by Lifes2good/Viviscal. Viviscal Man 60 hair growth supplements are a 1 month supply. They contain Zinc, Vitamin C, and the exclusive marine protein complex AminoMar C for healthy hair growth. © 2019 Viviscal. All Rights Reserved. 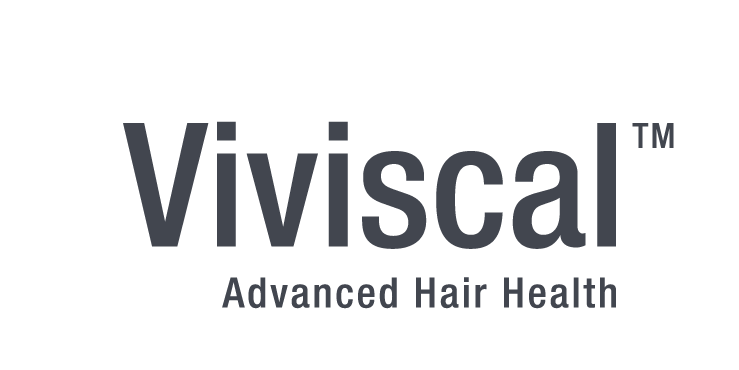 At Viviscal, we understand hair and have been researching hair loss for over 25 years. Viviscal supplements contain our marine protein complex AminoMar C™, plus Biotin and Zinc, which specifically nourish hair follicles to help maintain healthy hair from within, as proven in clinical trials.